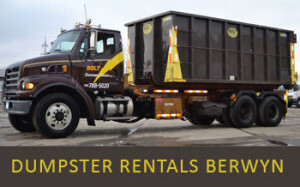 Looking for dumpster rentals Berwyn? Bolt Scavenger offers the best dumpster and container renting services since the 1960s. With over 56,000 residents and more than 19,000 households, many people in Berwyn look to Bolt Scavenger Service for dumpster rental needs. Known to have very tough building codes which resulted having block upon block of very well-built bungalows. With most homes being upwards of 100 years old, dumpsters are always in high demand for the residents of Berwyn as well as nearby Cicero and Stickney. Whether you need to rent a dumpster to clean out or restore your bungalow or help with house clean-up contact Bolt Scavenger Service for you dumpster needs. Our dumpster rentals are faster than any competitors. We guarantee same day delivery for dumpsters that are ordered by 10 am. 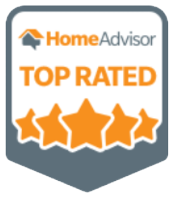 Bolt Scavenger Service has been servicing Berwyn and nearby Cicero and Stickney for over 50 years and intend to keep up our great service with the 3rd generation family taking over where the 2nd generation left off. Bolt Scavenger dumpster rentals in Berwyn will handle any sized project. From roofing tear offs to helping home owners remove construction material from add ons we can help. 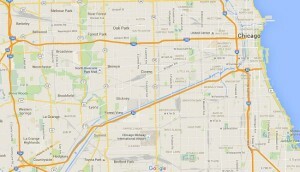 We provide container rentals for orders before 9 am on the same day which includes nearby Cicero and Stickney. The Bolt Scavenger team is always willing to aid with your dumpster rental needs. If you need a dumpster rental in the Chicago area call us today. Speak with a live person instead of a machine. Feel safe knowing that you’re dealing with local company owned by local residents. Our drivers are some of friendly in the industry. They also are willing to go the extra mike to make sure your rental experience is the best. Based in Cicero Bolt Scanvenger treats each client like they are our #1 customer. If you need just 1 dumpster or need to rent multiple dumpster containers we’re “At Your Disposal.” We assure you that your Berwyn dumpster rental is the best suited for your project.